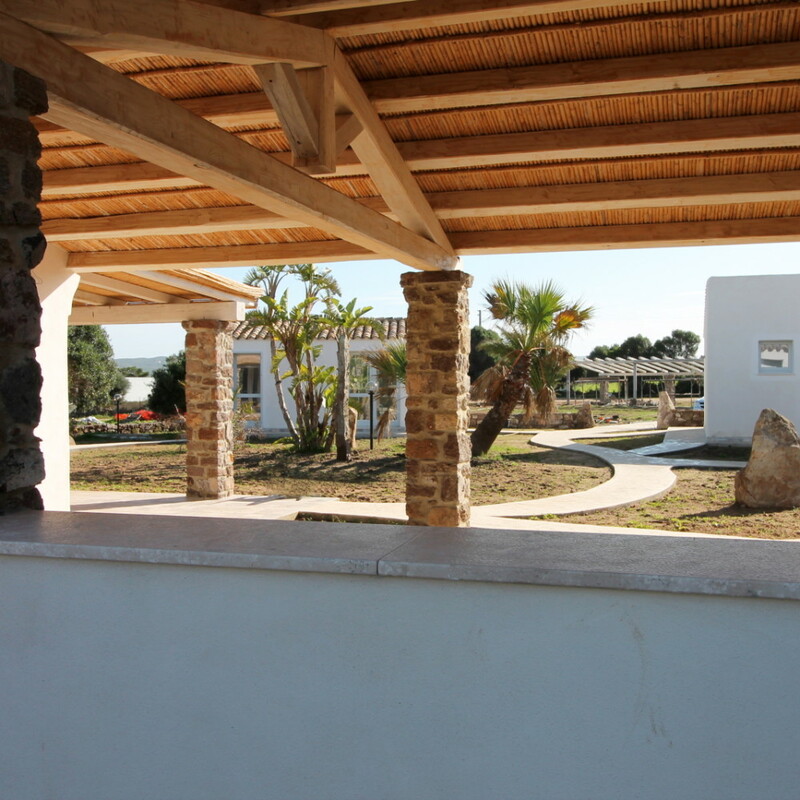 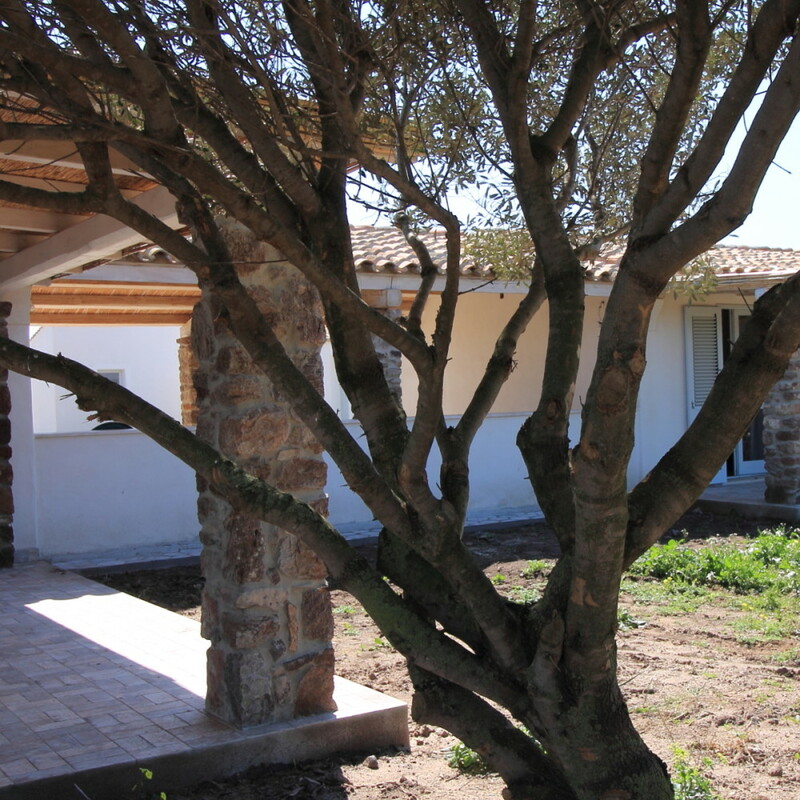 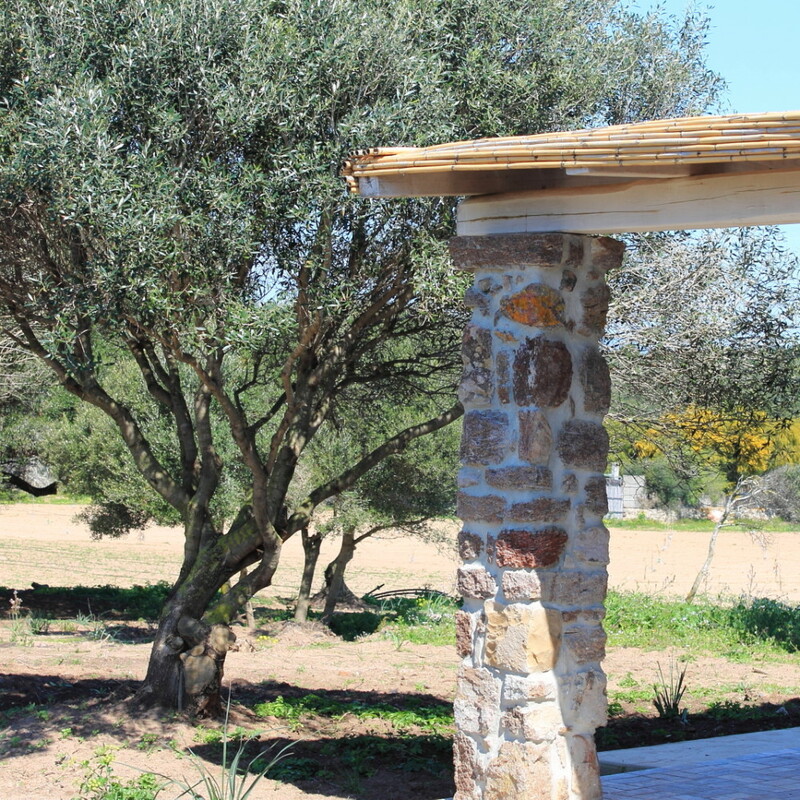 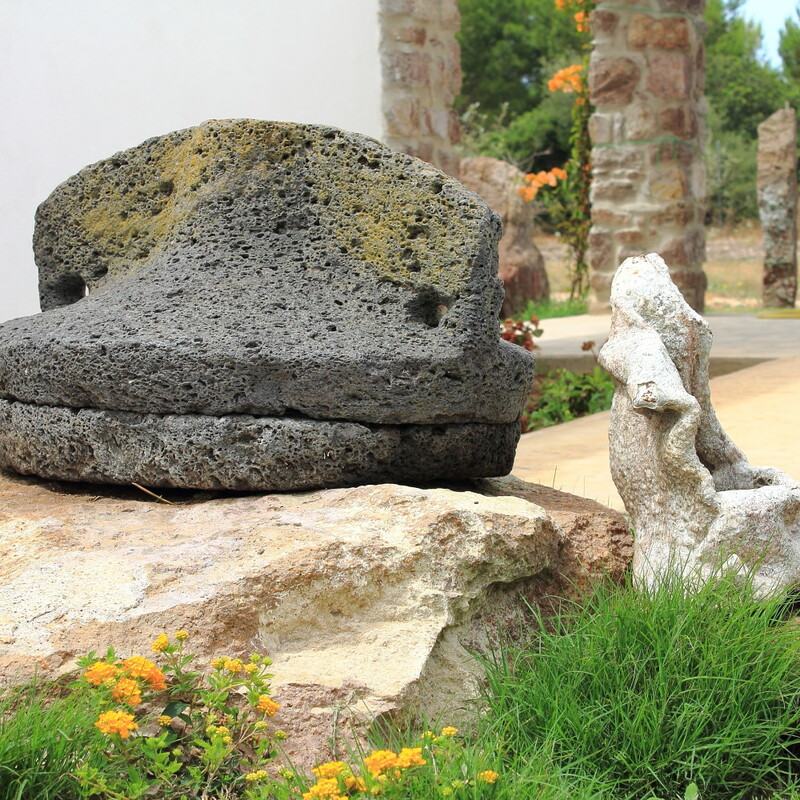 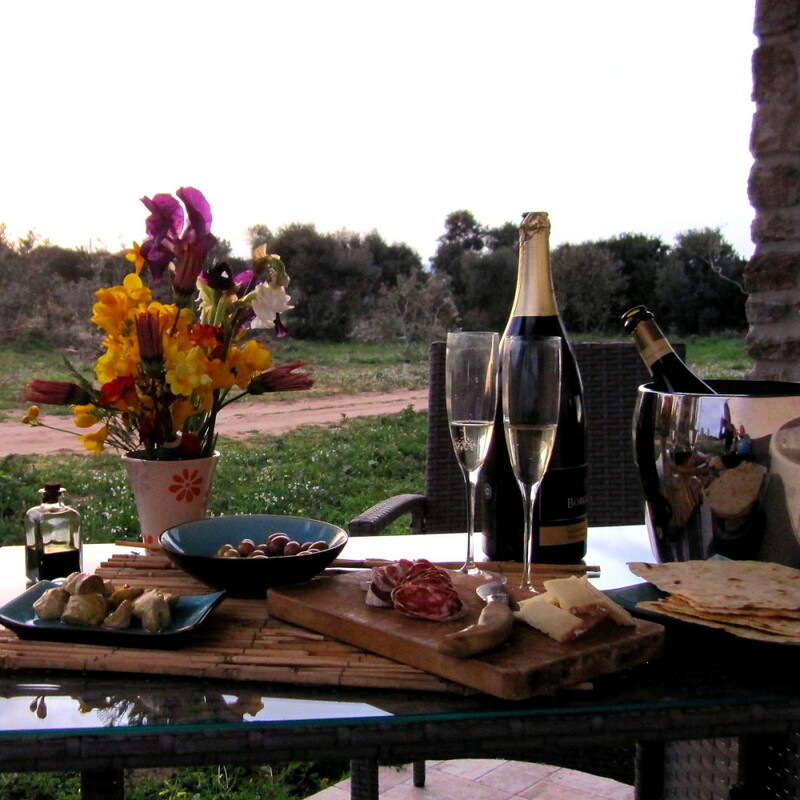 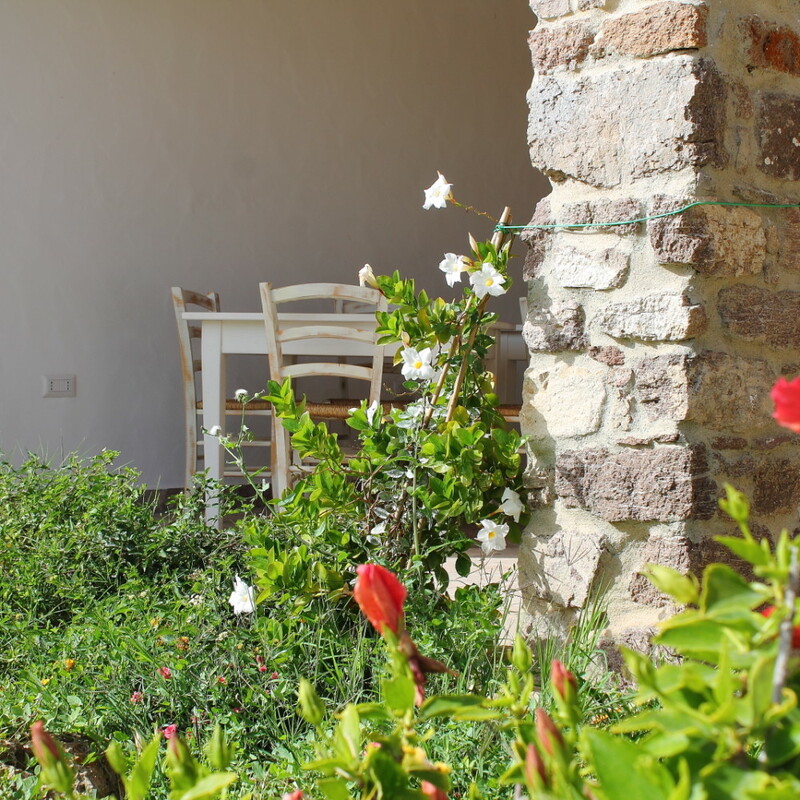 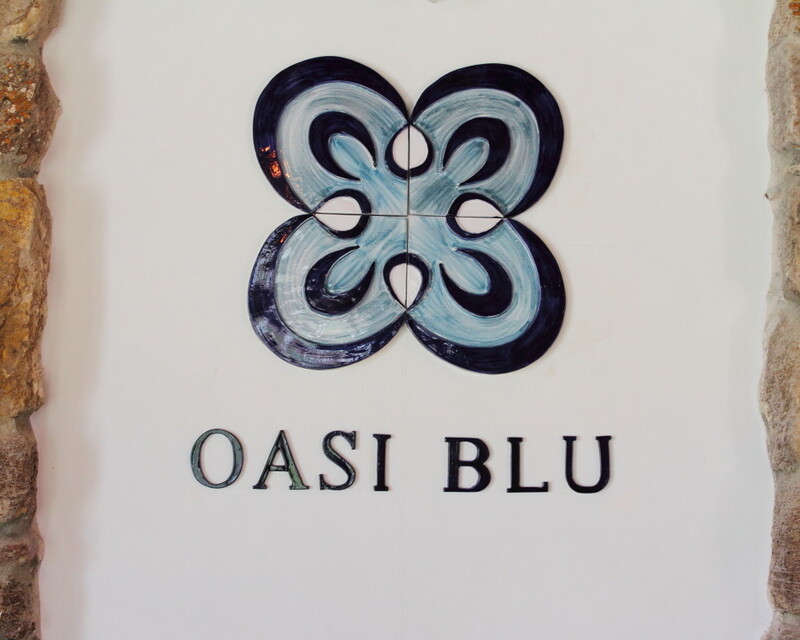 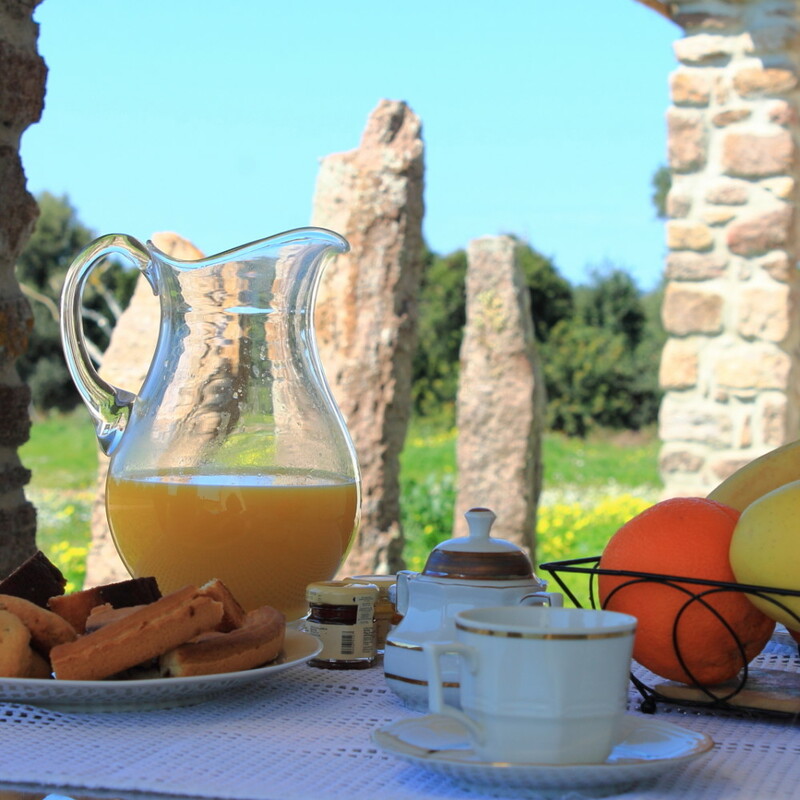 Under shady porches made of natural stone and chestnut wood beams, surrounded by green olive trees, breathing the fresh sea breeze you can enjoy a relaxing stay at the quiet and peaceful Oasi Blu B&B. 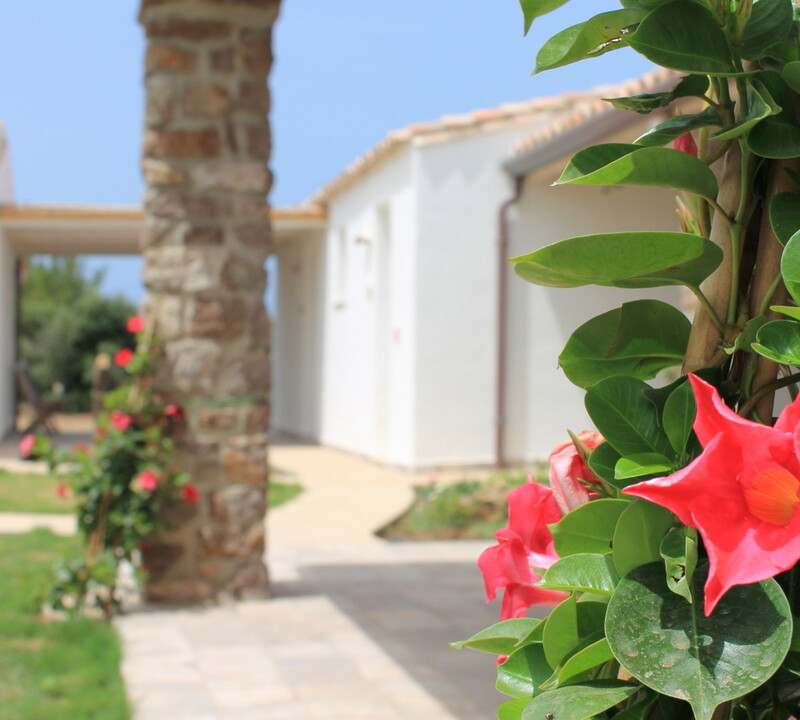 The perfect choice for sleeping in Calasetta; surrounded by nature, just a few minutes from the sea and from the centre of the village of Calasetta. 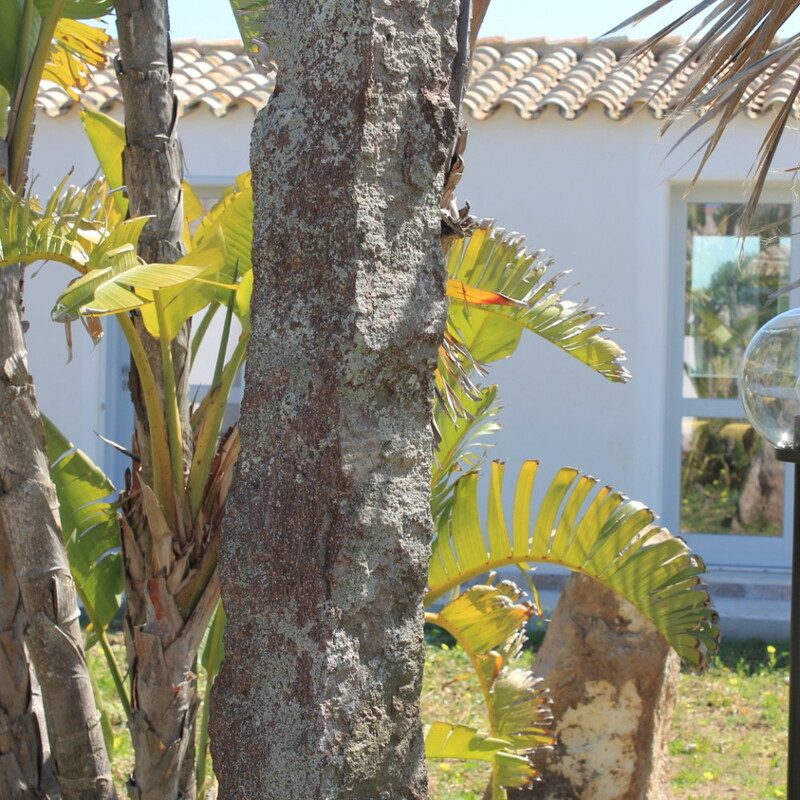 The nearest beach, “Le Saline” is less than 10 minutes walk. 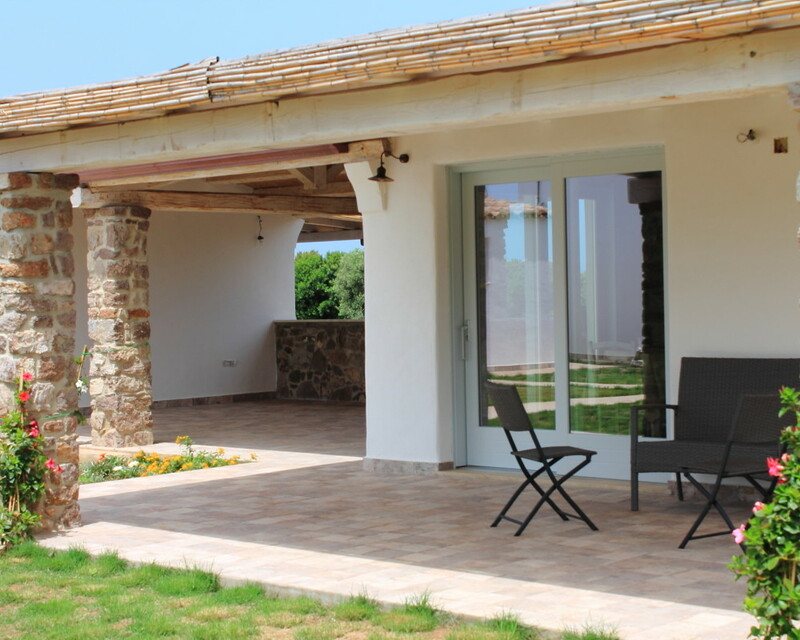 The elegant structure, built in the typical style of Calasetta, with exposed chestnut wood beams, soft colours, stone walls, typical furnishings, built by skilled craftsmen, is composed of five independent rooms with their own bathrooms and verandas.